Home CTH News CTH Members Prize Draw fifth winner announced! CTH Members Prize Draw fifth winner announced! We are delighted to announce that A.K.M. 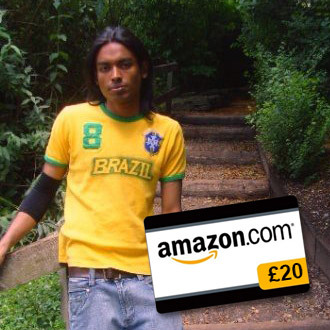 Modasser Hossain has won the CTH Members Prize Draw for last month, winning a free £20 Amazon voucher. A.K.M. Modasser Hossain, currently studying at Bangladesh Skill Development Institute (BDSI) in Bangladesh, visited the CTH Members website at least once last month so making himself automatically eligible for the free monthly prize draw. If you are a CTH Member make sure you log on to the CTH Members website at least once each month to make sure you’re in with a chance to win each month’s prize draw!